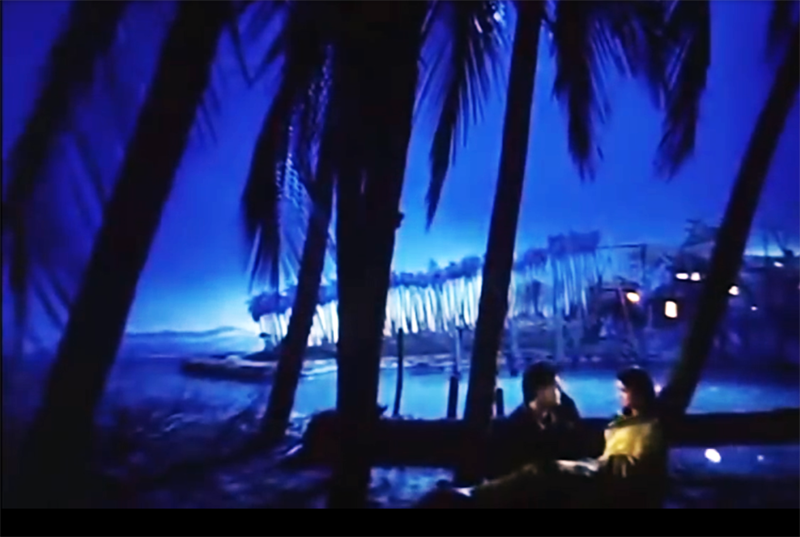 This song from film Junglee is one of the best emotional love songs ever. The song was composed by great composer duo Shankar Jaykisan, and sung by also great singers Mohammed Rafi and Lata Mangeshkar. A generation later, singer Sonu Nigam rerecorded the song in giving tribute to late Mohammed Rafi. He also did great job. Modern top rated electronic keyboards have two type of instruments. Acoustical sounds and electronic sounds made especially for electronic keyboards. Most artists use electronic sounds, because they are easier to play, and there is no comparison with real acoustical sounds. As long as you press right notes, music will sound good. But it requires different type of skill and experience to use acoustical sounds. First of all, there is no way you can match good acoustical instrumentalists. They have much more control on effect and expression of the compositions. Example: breath in woodwind and horn instruments; and pressing of strings in string instruments. When you play saxophone or violin on keyboard, only thing artists can do is how they press the keys. From very beginning, I have liked to use acoustical instruments on my keyboards. Many instruments you hear on my websites and blogs are programmed by myself to create good emotions. I recommend you use good quality speakers, or at least good headphone to have good listening experience of keyboard music. I hope I have done good job to give good expression and emotions in playing Saxophone and violin on my keyboard. This entry was posted in Ghanshyam Thakkar, Hasrat Jaypuri, Hindi Song, Instrumental Music, Instrumental Remix, Lata Mangeshkar, Mohammed Rafi, Movie, MP3, MP4, Oasis Thacker, Oasis-Music, Shankar-Jaykisan, Uncategorized, Video, youtube, youtube video, इन्स्ट्रुमेंटल वाद्य रिमिक्स, इंस्ट्रुमेंटल, इंस्ट्रुमेंटल म्यूजिक, ईन्स्ट्रुमेंटल रिमिक्स, घनश्याम ठक्कर, घनश्याम ठक्कर (ओएसीस), प्रेम-गीत, वाद्य रिमिक्स, वाद्य संगीत, वाद्य संगीत रिमिक्स, विडियो, सपेरा संगीत, ગીત, ઘનશ્યામ ઠક્કર, યુ ટ્યુબ વિડિયો, વાદ્યસંગીત, વિડિયો. Bookmark the permalink.